On July 24, reports began rushing in that Demi Lovato was found unconscious in her home. It was later reported by “Rolling Stone Magazine” that the singer was treated with Narcan, which is an emergency treatment used for narcotic overdoses, before she was taken to the hospital for further treatment. Once there, it was reported that Lovato suffered an apparent overdose due to fentanyl-laced Oxycodone. Fast forward to August of this year, We Came As Romans, a Michigan-based metalcore act, suffered the tragic loss of their clean vocalist Kyle Pavone, due to an accidental overdose. Then, just a few weeks later, it was reported that Pittsburgh rapper Mac Miller died of an apparent overdose in his San Fernando Valley home. Of course, these are just a few of many cases related to the overdose epidemic that has been a prominent issue for the United States. In fact, it’s been reported by the Centers For Disease Control (CDC) that overdoses have been on the rise in the United States in the past couple of years. As the CDC notes, over the course of 1999 to 2016, more than 630,000 people have died from a drug overdose. While the numbers are high with drug overdoses in general, the CDC has found a growing number in opioid-related overdoses. According to a report from the CDC, 66 percent of the 63,600 people who died of an overdose in 2016 could be linked with opioids, which are a group of drugs that were originally created for treating pain. With the growing number of drug overdose-related deaths on the rise nationwide, it’s been noted by Denise Keary, the Health and Wellness Coordinator at Cleveland State University, that the school is currently in the initial stages of creating programs and resources for those struggling with substance abuse and addiction. In addition to the peer educators group and the counseling center, she also mentioned that the school has also created a support team called the “Substance Abuse, Prevention and Pathways to Recovery” team. It’s a fairly new group on campus, but Keary maintains that they’ve already been working on educating students about what addiction is and how to end the stigma surrounding addiction. They hope to eventually move into a more preventive area. While the university is currently taking steps to help those who are struggling with addiction, Keary notes that students who understand the signs and symptoms of addiction can also be a great help when it comes to assisting a fellow student in need. As for what those signs may be, Keary shared that a big factor in knowing if someone may be struggling with addiction is the changes in their behavior. Whether those changes be their eating and sleeping habits to things like how they are presenting themselves and if they are keeping isolated. While knowing what the signs are, it’s only half the battle in the grand scheme of things. Knowing the right things to say to someone who might be fighting an addiction and getting them help is even more pressing. Keary explained that there are different levels for determining what the next steps should be. Relating it to a stop light, a green light could be something as small as that person just needs to talk. A yellow means they probably need a referral to the counseling center, and a red means they are displaying some signs of hurting themselves or hurting somebody else. While these signs can be difficult to gauge, knowing the right places to get them help and simply asking how someone is doing can have a lasting impact on those who are dealing with an addiction. The Cleveland State Health and Wellness Center is a resource for students to receive varying degrees of medical attention. At the center, students can get their flu shots, prescriptions, various lab services, and see a primary care physician, with just a visit. The Center for Innovation in Medical Professions is located in Room 205. The Cleveland State Counseling Center is a resource for students, faculty and staff to receive academic, career and personal counseling. The Counseling Center has office hours Monday through Friday from 9 a.m. to 5 p.m. Appointments can also be made from 8 a.m. to 5 p.m. Empowered Bystander training will give students the opportunity to learn how to properly help someone who may be in situations like sexual violence, mental health, and/or addiction. The training will be held on Thursday, Sept. 27 in RW 202 from 11:30 – 12:30. This event was created in order to reduce the stigma of substance use and addiction. Speakers include Vince Caraffi from the Cuyahoga County Board of Health and community members in recovery as they give their insight and further information on the myths, stigmas and facts on various substance abuse disorders. The event will be held on Wednesday, Oct. 24 in IM 114 from 12:00 – 1:00. 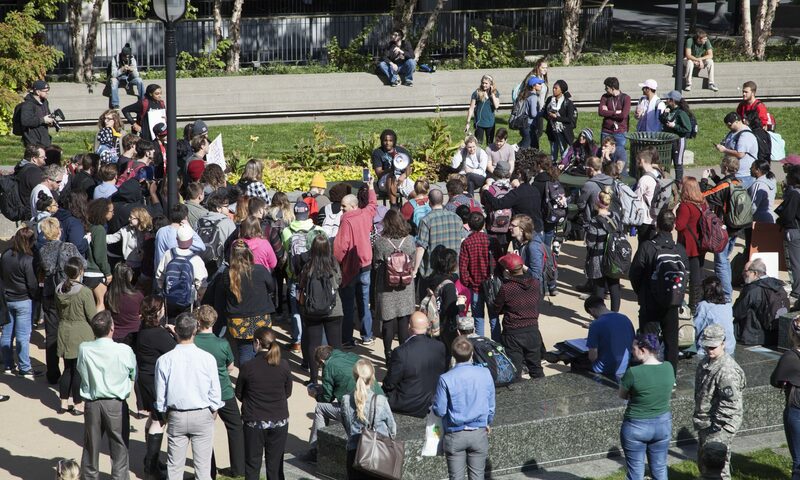 For students interested in providing a “supportive, safe and healthy campus,” they can join Cleveland State’s H.Y.P.E. team for their fall training sessions on becoming a certified Peer Educator. The training will be held on Tuesday, Oct. 9 from 8:30 to 5:00 with lunch provided.